On World Oceans Day people across the globe celebrate the significance and impact of the oceans around the planet, by highlighting their many contributions to human society, while recognizing the considerable challenges we face in maintaining the benefits that the oceans provide. The oceans cover about two-thirds of the surface of the Earth and are the very foundations of life. They generate most of the oxygen we breathe, absorb a large share of carbon dioxide emissions, provide food and nutrients, regulate climate, and are important economically for countries that rely on tourism, fishing and other marine resources for income, and serve as the backbone of international trade. Unfortunately, human pressures, including overexploitation, illegal, unreported and unregulated fishing, destructive fishing, as well as unsustainable aquaculture practices, marine pollution, habitat destruction, alien species, climate change and ocean acidification are taking a significant toll on the world’s oceans and seas. Peace and security are also critical to the full enjoyment of the benefits that can be derived from the oceans and for their sustainable development. As has been remarked by the Secretary-General, “There will be no development without security and no security without development”. Many countries have celebrated World Oceans Day following the United Nations Conference on Environment and Development, which was held in Rio de Janeiro in 1992. In 2008, the United Nations General Assembly decided that, as of 2009, 8 June would be designated by the United Nations as “World Oceans Day” (resolution 63/111, paragraph 171). The official designation of World Oceans Day by the United Nations is an opportunity to raise global awareness of the benefits derived from the oceans and the current challenges faced by the international community in connection with the oceans. The day is intended to provide an opportunity for people to reflect and emphasise the benefits that the oceans can provide and our individual and collective duty to interact with oceans in a sustainable manner so as to meet current needs without compromising those of future generations. The Empire State Building will be lit on the evening of 8 June for World Oceans Day in white, blue and purple, representing the different layers of the ocean. White at the top represents the shallowest, sunlit waters and also the polar ice cap. The blue represents the slightly deeper ocean waters, and the purple even deeper waters in the ocean. The unlit portions, or black, represent those parts of the ocean where the sun does not reach. The overall representation covers all aspects, and all parts, of the ocean, not just the surface that we can see. - From UN. Mostly, today, and every time you’re near one of our beaches, creeks or on the estuary, if you see a piece of plastic, whether bottle cap, wrapper or drink bottle, in whatever colour it is, please, pick it up and put it where it won’t end up choking our waters and all that live in them. The tides will continue to bring this refuse back in, if we continue to pick it up we will be contributing to cleaning up the estimated 100 million tonnes of plastic refuse that is getting into our oceans every year. Remember the world’s oceans generate most of the oxygen we breathe, feed us, regulates our climate, cleans the water we drink, is the place we swim, surf, ski, paddle and sail in and on. It is the salt breath we’re all living here to breathe in. 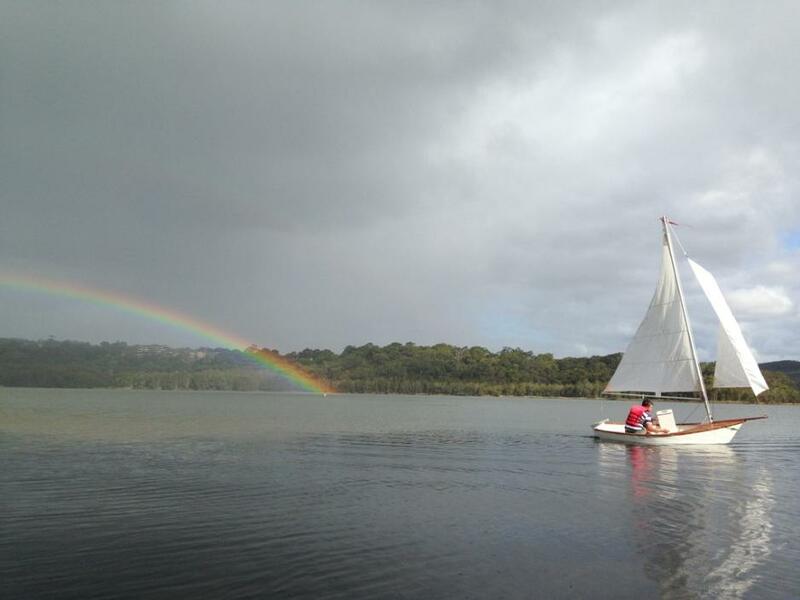 We've been collecting some pictures of us all out enjoying the Pittwater ocean during the past few weeks and days run these as our own celebration of Worlds Oceans Day 2014 as this week's Pictorial. 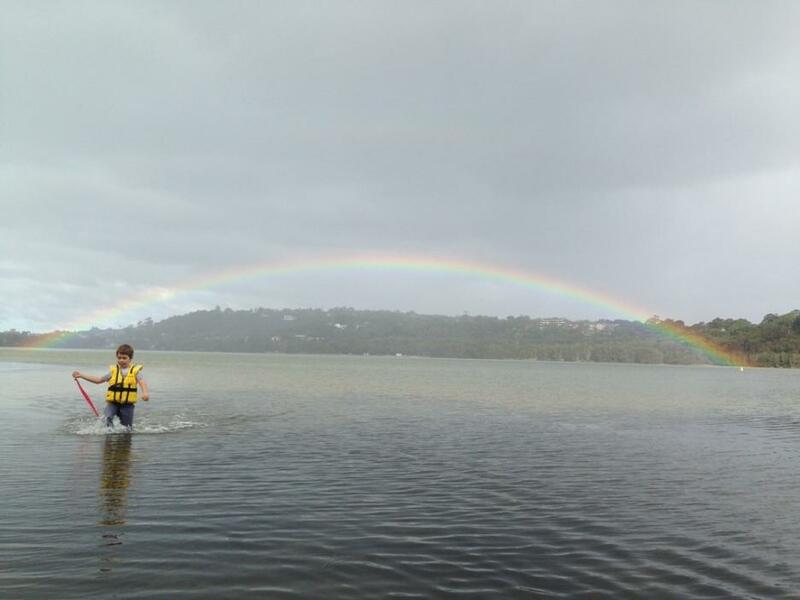 Rob Ormsby enjoying Narrabeen Lagoon. Picture by James Owen.